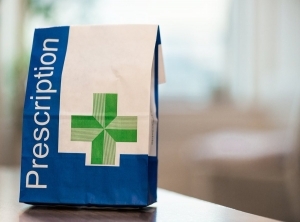 A prescription medication real-time monitoring system will go live across Victoria in less than 24 hours in a move to prevent doctor-shopping and save lives. Health Minister Jenny Mikakos announced that the $29.5 million system, SafeScript, will go online across the state on Monday after a successful trial in western Victoria. "From tomorrow, we will see a statewide rollout of SafeScript which is Australia's most comprehensive real-time monitoring system of prescription medications," she told reporters on Sunday. "SafeScript will save lives, it will provide a way for doctors and pharmacists to have a conversation with patients who come in to fill their scripts, and to prevent doctor shopping ... which is putting people at harm of addiction and overdose." More than 400 Victorians died from overdoses of prescription drugs in 2017, she said. The system will monitor drugs of addiction such as morphine, oxycodone, codeine and diazepam. A public awareness campaign will also be rolled out to highlight the potential dangers of prescription medicines and reduce the stigma of dependency. There is also a free and confidential 24-hour advice helpline on 1800 737 233.